I recently purchased a new camera - the Nikon D850 which is a total gem, except for the fact that I cannot import the images from the camera into my software for processing them. The image software I use is Apple's old outdated Aperture. I have resisted going to photoshop all these years, but now am being forced to with this new camera. I worked almost all day today trying to figure out just a little of photoshop. 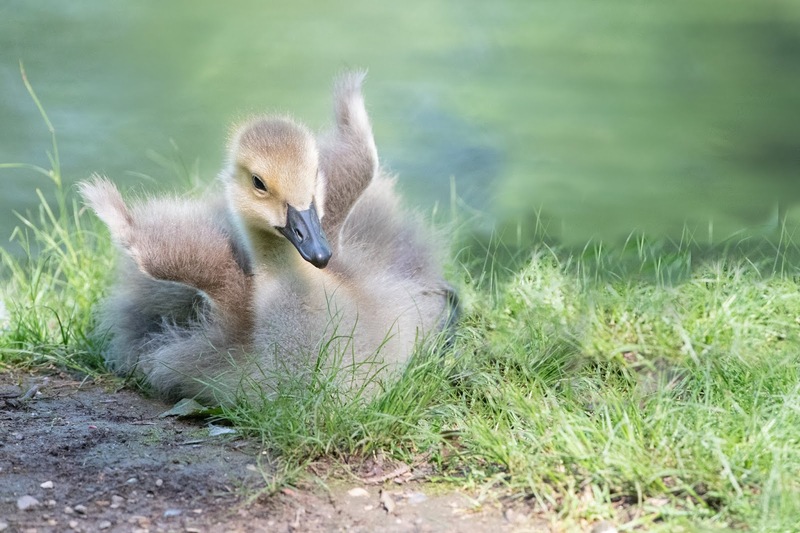 I feel just about as frustrated as this little gosling...... Tomorrow is a new day.